During the rainier months in Maryland, you may find that you have areas in your yard that tend to hold a lot of water. This can have many negative side effects for your yard including puddles, bare patches of grass, muddy areas, and significant erosion. 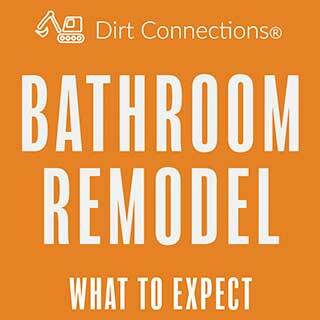 To help improve drainage and erosion problems you can fix your hard by beginning a topsoil project. Topsoil’s unique composition can hold significantly more water than regular dirt which will prevent the formation of puddles and other unwanted side effects. Some problems can be fixed by simply mixing some topsoil in with your regular dirt, while others can be more complex and will require you to consider things like redirecting the water, but they will still benefit from the addition of topsoil. Topsoil is the uppermost, outermost layer of soil. It’s usually if the first 6-8 inches of dirt, but it can vary depending on the area. It has a high concentration of organic matter and microorganisms and provides the environment for where most of the Earth’s biological soil activity occurs. Four elements make up the composition of soil: mineral particles, organic matter, water, and air. The varying levels of each element are what make up the skeletal structure of most soils. Mineral particles make up 50-80% of the skeletal structure of the soil. 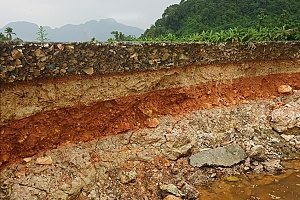 The variance of different amount of mineral particles can change the internal matter and effect things such as water drainage and overlying landscape. The second element of organic matter affects soil based on its quantity within the soil. Too much organic matter and too little organic matter can have both positive and negative effects on the soil. For example, a lot of organic matter with make the soil extremely rich in nutrients, but it will also create weak bearing capacities. This is why topsoil is not the ideal dirt for construction purposes. However, it does make it ideal for absorbing water and helping to improve rainwater drainage and erosion. Sandy soil: This soil is light, warm, and tends to be acidic and low in nutrients. 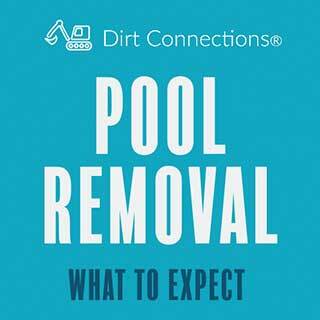 It’s quicker to warm up in the summer, but because of its quick drainage, it also tends to get very dry in the summer. Clay Soil: This is a much heavier soil than sandy soil and it is much higher in nutrients, making it perfect for any topsoil project. It remains wet and cold in the winter and can dry out in the summer. Clay soil is made up of 25% clay, and because there is a lot of space between the clay particles in the soil, the dirt is able to retain a high amount of water. 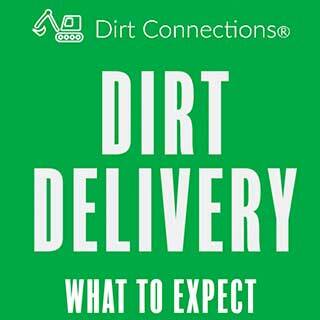 Silt Soil: This is a light and moisture retentive soil with a high fertility rate. It’s composed of medium-sized particles that allow for water to be retained and drain at an ideal rate. The downside to this soil is that it tends to be very fine, so it can be easily washed away by rain. Peat Soil: This soil is very high in organic matter and is able to retain a lot of water. Peat soil is rarely found in gardens and is rather optimized for creating a solid base for planting during a topsoil project. Chalk Soil: This soil can either be light or heavy, but it is always highly alkaline because of the calcium carbonate or lime within its structure. Because this soil is alkaline, it will not support the growth of ericaceous plants that require acidic soils to grow. Loam Soil: This soil is a mixture of sand, silt, and clay that is combined to avoid the negative effects of each type of dirt. Loam soil is very easy to work with and provides really good water drainage. 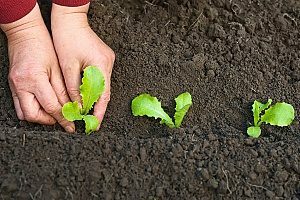 Loam soil is considered to be the most ideal and universal type of soil to garden with. To address the soil drainage problems in your yard, utilize a sandy soil combined with organic matter (like compost or ground pine bark) and mix it in with the existing dirt to a depth of about 12 inches. Changing the composition of your current dirt will allow water to drain far more successfully to avoid creating any unwanted puddles in your yard. This is one of the more forgotten uses for a topsoil project that can prevent expensive home repairs. Growing plants in these areas with the newly placed topsoil will also help to prevent erosion. If just adding topsoil isn’t enough to get rid of the excess water in the area, then you have to consider redirecting or capturing the runoff. You could build a terrace or a retaining wall to redirect the water flow to other areas of your yard. However, these can change the appearance of your yard which some people would rather avoid. An alternative to this is to install a french drain which is a drainage system that is underground. While this will mess up the appearance of your yard initially, you can just add some topsoil over the affected areas to help promote grass growth. This is a very effective way to solve a severe soil drainage problem through a topsoil project. Erosion and drainage problems can often go hand in hand as repeated flooding in your yard can cause for the soil itself to move. Erosion is the displacement of soil from one place to another; this can happen on a large or small scale. 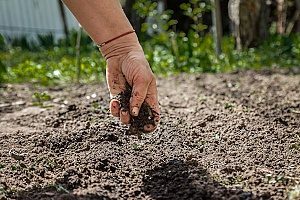 Soil that has suffered from erosion can not only ruin the appearance of your yard, but it can actually lead to environmental problems if the erosion is bad enough. The best way to prevent erosion is to minimize the amount of bare soil in your yard. For most people, this means growing grass and plants. These plants will grow roots that tie the topsoil and subsoil together, decreasing the chance for the soil to become eroded. Topsoil can be instrumental in solving the excess water problems your yard is having.